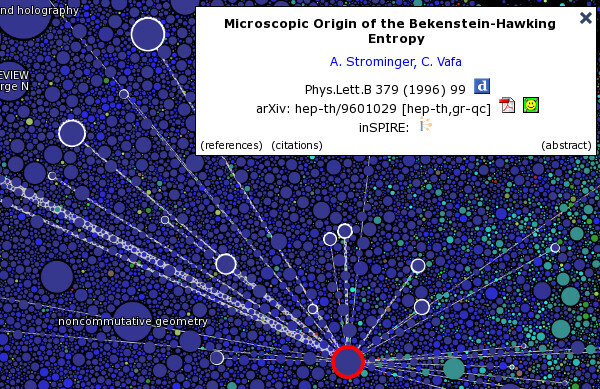 The Paperscape project is a series of tools for visualising the arXiv database of scientific papers. I'm codeveloping it with Damien George. 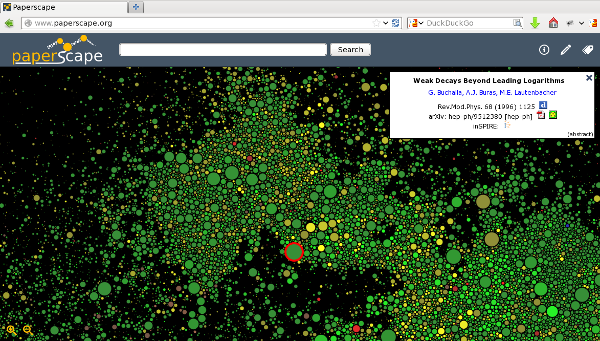 The Paperscape map visualises the entire arXiv database as a map that can be explored by panning and zooming. The papers are sized according to their number of citations and positioned according to their references/citations. 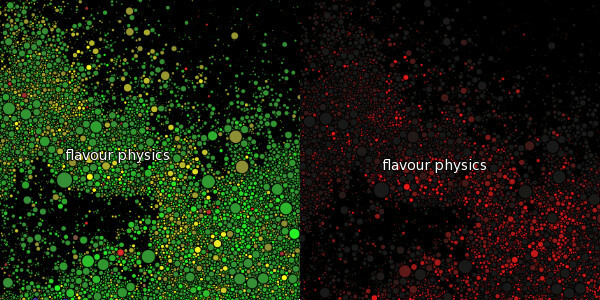 Different categories of the arXiv are assigned different colours, and newer papers are more brightly coloured. 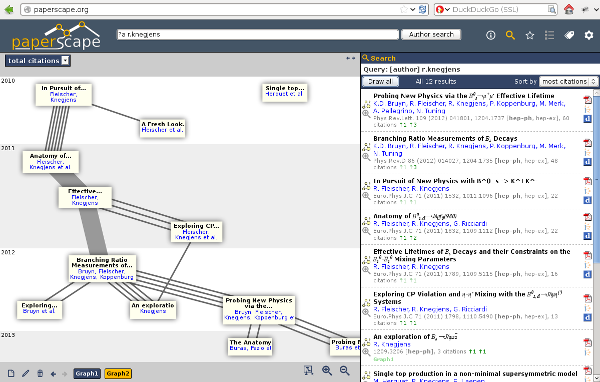 The original My Paperscape project complements this map by letting you draw graphs of the papers that interest you, with the papers as nodes and citations as links. It's possible to register a personal profile, with which you can tag relevant papers as well as save and share the graphs you make. For recent updates or to give feedback visit our development blog or Facebook page. 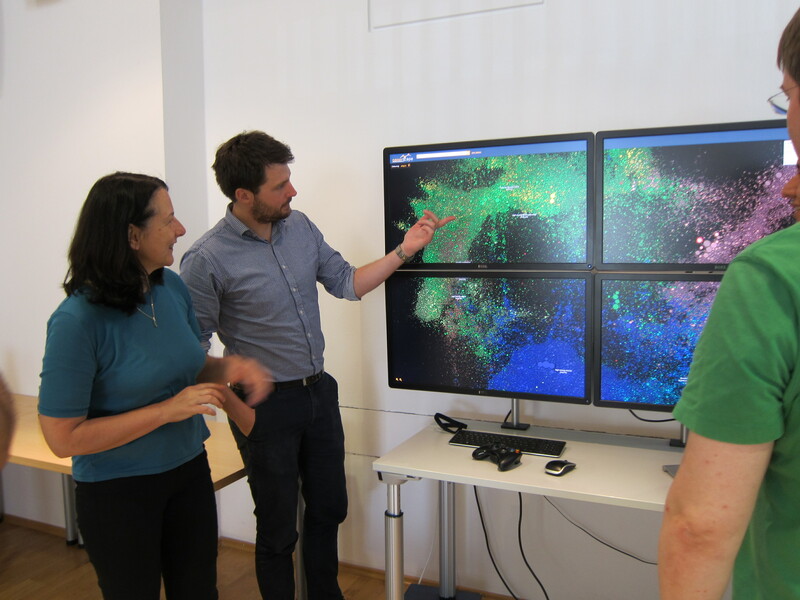 Open-source code for the browser-based map client, the map generation back-end, as well as Paperscape arXiv graph data from 1991 to 2015, are available on Github. Munich, Germany, May 2nd 2017. 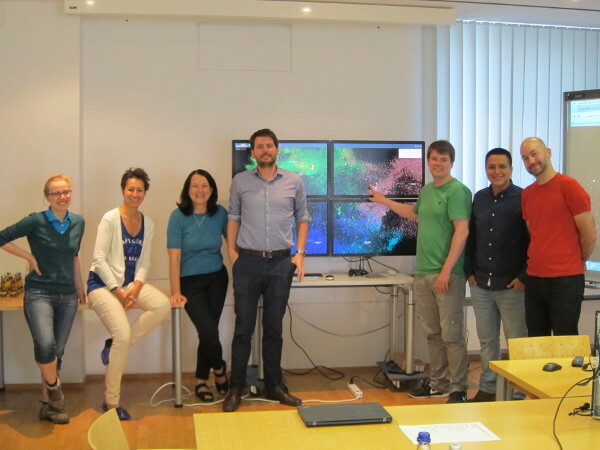 In September 2016 I presented Paperscape at the Max Planck Digital Library's Hyperwall workshop in Munich. Below some photos from this two day event. This page was last updated on May 04, 2017 (GMT+1).